NOW, EVEN YOU CAN HAVE YOUR OWN DREAM WEDDING! But budget bhi tou hai! Weddings in Pakistan are extravagant and lavish, and to plan it in a budget is one heck of a task. However, it is possible to have your dream wedding following latest trends while being pocket-friendly at the same time. 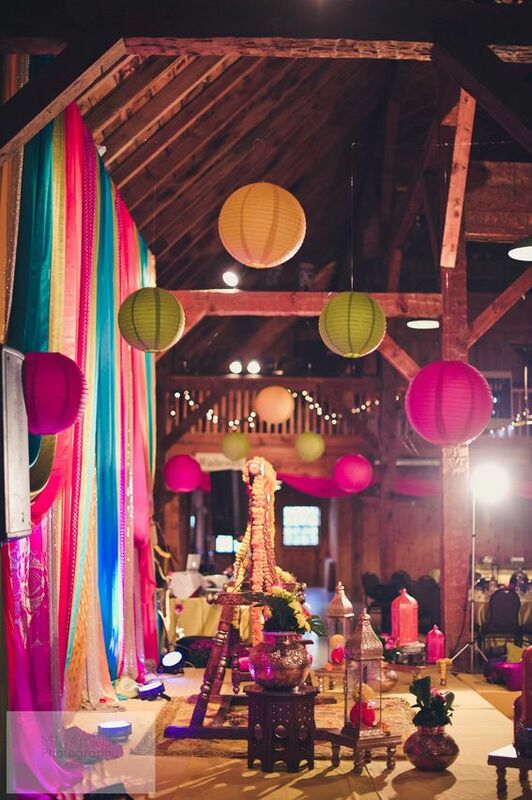 From decor, food, photo shoot to the selection of the venue, it can be easily managed by incorporating these simple things. 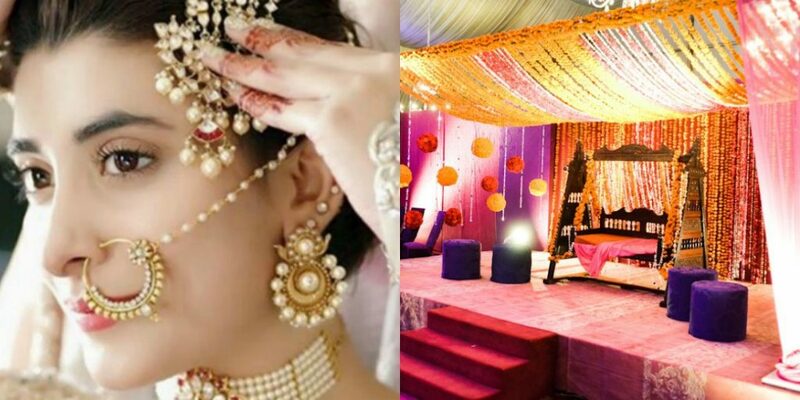 The idea of ‘Shendi’ and ‘Shalima’ has gained popularity, where the main events of either Shaadi and Mehendi, or Shaadi and Valima are combined together as one main event. It is one day fun filled event with dances and ‘desi rasams’ that adds energy to the event. Venue, is one of the most important factor therefore it should be perfect! Instead of going through the hassle of booking the venue six-eight months prior to the event, one can always look around for big outdoor spaces through mutual friends that can be decorated by being creative and adding innovation with your ‘phool-walas’ or using Pinterest DIY’s. The dress of the bride, is the highlight of the event and also one of the most expensive item on the wedding list. One can always design their own dress instead of opting for a designer. 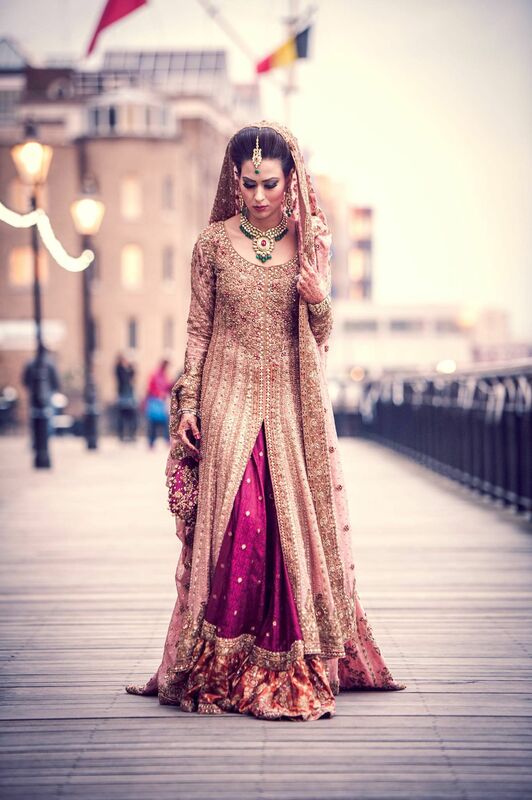 The famous bazaars of Karachi have finest ‘karigars’ that can help to design the bridal dress in one’s own minimalist budget, making it the talk of the town! The recent trend of home-based makeup artists have gained a lot of popularity among the brides and are pocket friendly.Now, one does not need to spend tons on makeup and still rock the event! So, all you have to do is do your research. 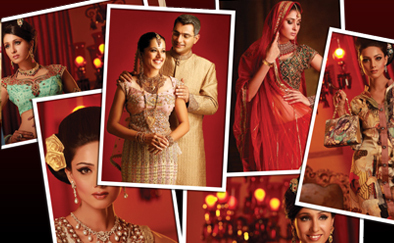 Lastly, any wedding would be incomplete without a good photographer, because in the end memories are all we have! Hiring freelance photographers are one of the good options that can help to capture the fun-filled and ever-lasting moments of a wedding!